Dr. Swoboda received her medical degree at The Northwestern Feinberg School of Medicine. She completed her neurology residency at the Harvard Longwood Neurology Program at the Brigham and Women’s Hospital, and additional subspecialty training in Clinical Genetics and Neuromuscular disease/ Neurophysiology at Boston Children’s Hospital and the Lahey-Hitchcock Clinic. 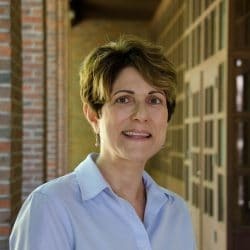 Dr. Swoboda’s research and clinical activities are dedicated to the diagnosis and treatment of neurologic disorders, especially neuromuscular diseases, movement disorders, and neurodegenerative disorders with childhood-onset. 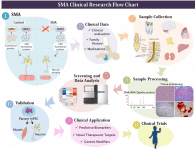 Do non-neural, systemic tissues contribute to Spinal Muscular Atrophy (SMA) pathology? What clinical, genetic, and molecular tools can predict the age of onset, disease severity and course of pathogenesis for rare neurogenetic diseases? What tissues, proteins, and molecular pathways can be targets of potential novel or co-adjuvant therapeutics for children and adults with neurogenetic diseases? We identified a de novo missense mutation in NALCN, c.1768C.T, in an infant with a severe neonatal lethal form of the recently characterized CLIFAHDD syndrome (congenital contractures of the limbs and face with hypotonia and developmental delay). When engineered into the C elegans ortholog, this mutation results in a severe gain-of-function phenotype, with hypercontraction and uncoordinated movement. We engineered 6 additional CLIFAHDD syndrome mutations into C elegans and the mechanism of action could be divided into 2 categories: half phenocopied gain-of-function mutants and half phenocopied loss-of function mutants. A: CRISPR modification of nca-1. The V to F missense mutation was made in the native nca-1 gene with unc-119 rescue for positive selection. Cre recombinase was injected to remove the loxP flanked unc-119 selection cassette. B: Posture of nca-1 variants. The wild-type control moves in a shallow sinusoidal wave. Animals engineered with the proband’s variant (V637F) exhibit a characteristic coiled posture identical to animals with previously identified gain-of-function alleles (D647E and A643V). Reference: Bend et al., Neurology. 2016 Sep 13;87(11):1131-9. 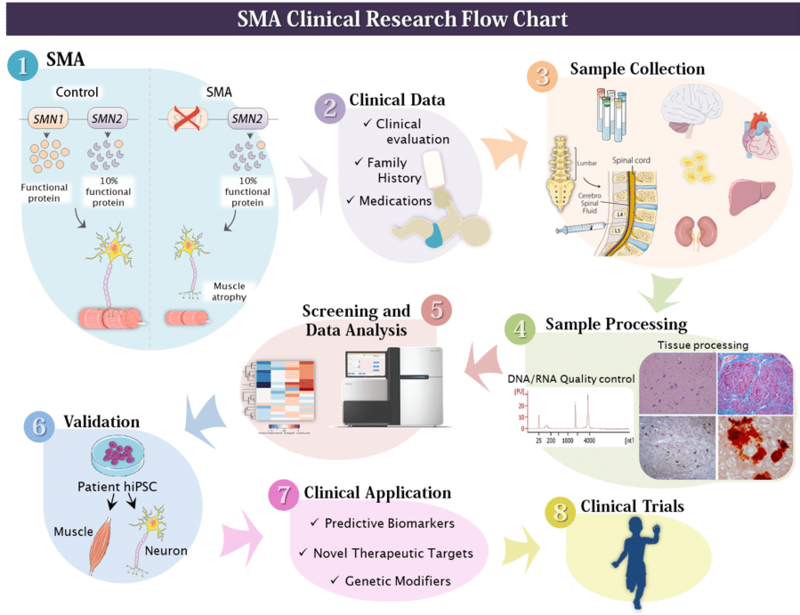 We examined the impact of fasting and glucose tolerance on selected metabolic variables in children with spinal muscular atrophy (SMA) type II. 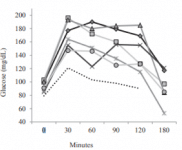 We found that 5 of 6 analyzed participants were insulin-resistant. 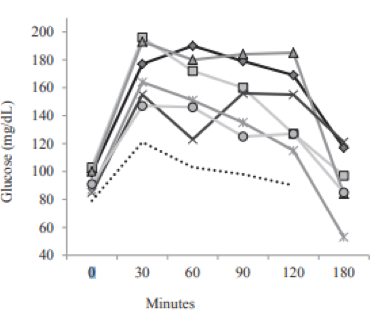 Graph demonstrates the individual plasma blood glucose levels during the OGTT in the 6 children with SMA type II. The dashed bottom line represents the mean value for healthy children. Reference: Davis et al., J Pediatr. 2015 Dec;167(6):1362-8.e1. Mutations in ATP1A3 cause Alternating Hemiplegia of Childhood (AHC) by disrupting function of the neuronal Na+/K+ ATPase. Published studies to date indicate 2 recurrent mutations, D801N and E815K, and a more severe phenotype in the E815K cohort. We performed mutation analysis and retrospective genotype-phenotype correlations in all eligible patients with AHC enrolled in the US AHC Foundation registry from 1997-2012. Clinical data were abstracted from standardized caregivers’ questionnaires and medical records and confirmed by expert clinicians. We identified ATP1A3 mutations by Sanger and whole genome sequencing, and compared phenotypes within and between 4 groups of subjects, those with D801N, E815K, other ATP1A3 or no ATP1A3 mutations. We identified heterozygous ATP1A3 mutations in 154 of 187 (82%) AHC patients. Of 34 unique mutations, 31 (91%) are missense, and 16 (47%) had not been previously reported.